Information security specialist Bader Bader said that the wave of pro-Palestinian cyberattacks that hit yesterday important Israeli official websites would significantly affect the Israeli occupation at the security and social levels. Bader expressed his belief in a press statement to the Palestinian information center (PIC) that the Israeli citizens feel afraid that their personal information and phone numbers could be compromised, so they are dubious about using websites and going online. He opined that the hacking of websites belonging to sovereign Israeli ministries and bodies such as the website of the Mossad could inflict widespread damage on Israel in case any leaked crucial information reached its opponents. "The coming days will tell us about the significance of this information and the amount of damage the Zionists has suffered from its leakage," the specialist said. For his part, member of Hamas's political bureau Ezzat Al-Resheq saluted what he described as the cyber resistance for its successful cyberattacks on the Israeli occupation. Reshe stated on Monday that the success of the hackers in penetrating and disrupting a considerable number of Israeli official websites and facebook accounts vindicated further that Israel's entity and security are so weak and fragile, and can be defeated only by force. Removal of ‘Lazy Jews’ page that includes photo of murdered Jews in mass grave follows formal complaint by Executive Council of Australian Jewry. 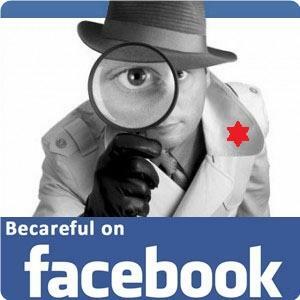 Senior Palestinian internal security official Mohamed Lafi warned that the cellular phones and the facebook social networking site are fertile and active ground for Israeli intelligence activities to immerse young men in the quagmire of espionage and treason. In a lecture he gave to raise the security awareness of the Gazan society on Sunday, Lafi stressed the need for promoting a Palestinian culture criminalizing any involvement in spying activities for the Israeli occupation. Lafi also talked about the means and methods used by the Israeli intelligence to recruit young men, and highlighted the espionage activities that took place before and after the first intifada in 1987 and were more rampant after the emergence of the Palestinian Authority in 1994 and until today. He affirmed that the Palestinian internal security apparatus had found after the internal events in the summer of 2007 a file proving the involvement of the Palestinian Authority's security agencies in spying and surveillance activities against the Palestinian resistance, noting that these security agencies still work for the Israeli occupation. The security official finally gave tips and guidelines on how to avoid falling into the trap of the Israeli intelligence and urged the parents to raise the awareness of their children about dealing cautiously with the modern communication means and not only teach them how to use such things. The hacktivist collective claims to have caused more than $3 billion in damage in protest against treatment of Palestinians, but officials say the attack has caused minimal disruption. Anonymous claims that a cyberattack launched against Israeli government Web sites this weekend has caused billions of dollars of damage, although Israeli officials say there have been no major disruptions. The group estimates that #OpIsrael has caused more than $3 billion in damage, hacking more than 100,000 Web sites, 40,000 Facebook accounts, and 30,000 bank accounts belonging to Israelis. However, Yitzhak Ben Yisrael, of the government's National Cyber Bureau, said the campaign has caused minimal disruption to key government Web sites. "So far it is as was expected, there is hardly any real damage," Ben Yisrael told the media. "Anonymous doesn't have the skills to damage the country's vital infrastructure. And if that was its intention, then it wouldn't have announced the attack ahead of time. It wants to create noise in the media about issues that are close to its heart." This is the second time in recent months that Israel has been targeted by the hacktivist collective, which is protesting Israeli policy toward the Palestinians. A similar attack last November spawned millions of hack attempts, but the government said at the time that the disruption was minimal. Members of the group warned last week that they would "disrupt and erase Israel from cyberspace" on April 7, saying the government had "crossed a line in the sand" when it threatened to sever all Internet and other telecommunications in and outside of Gaza. Israel observes Holocaust Remembrance Day on April 7. Palestinian political analysts said that the cyberattacks on Israeli websites on Sunday can be very costly for the Israeli occupation and the next few hours will reveal the severity of its losses. Political analyst Hasan Abdo told the Palestinian information center (PIC) that such cyberwarfare could be considered one of the most effective modern tools to confront the occupation and its crimes, calling for not underestimating it. "Having such large number of supporters for the Palestinian cause from all over the world joining forces with each other to launch such coordinated and successful attack confirms that this warfare is going to bear fruit," Abdo emphasized. He added that the coming hours would disclose the size of the Israeli failure to protect its electronic defenses. For his part, Tawfiq Abu Shumer, a specialist in Israeli affairs, told the PIC that the cyberattacks undoubtedly affect and destabilize the Israeli occupation state, noting that the Israeli government hastened yesterday after receiving threats in this regard to warn its citizens to be cautious when dealing with emails and websites. Abu Shumer hailed the international hacking group "Anonymous" for waging cyberattacks on behalf of the Palestinian people against the Zionist entity that occupied their land. He also appreciated its stated support for the Palestinian people and their national cause and urged it to continue its cyberwarfare against the occupation and to target the most important Israeli security and military websites. Dozens of Israeli websites were hacked in early hours Sunday, including pages of the Israeli premier's office and the Tel Aviv stock exchange, in the largest cyber offensive yet against the Israeli occupation regime. The cyberattack was dubbed as "Operation Israel" and led by the multinational hacking group "Anonymous," which says its cyber campaign aims to retaliate to Israel's crimes in Gaza and the West Bank. Several official websites were defaced today with photos of long-term hunger striker Samer Issawi, deceased Palestinian prisoner Maysara Abu Hamdiya and other posters reflecting the group's support for Palestine and its people. "The names and email addresses of some 1,500 Mossad agents have also been made public in the Google Documents service." The organizers said it would be "the largest Internet battle in the history of mankind" that would eventually "wipe Israel off the map of the Internet" on April 7. For its part, Haaretz newspaper also said today that the Israeli websites were hit widely in a wave of cyberattacks and the extent of damage is yet unknown. Popular committees and movements and youth groups called on Sunday for closing the main streets in the West Bank and organizing marches in support of prisoners on Monday. Local sources said that a number of popular committees and movements intend to stage marches on the main streets and bypass roads in al-Khalil to prevent Jewish settlers from moving freely in the Palestinians lands. This step comes as part of the events organized in support of prisoners and in condemnation of the death of prisoner Maysara Abu Hamdiya and the deterioration of prisoner Issawi's health condition. Youth groups have also posted calls on social networking websites for blocking movement of Jewish settlers between West Bank cities, while some districts in the West Bank have been preventing movement of settlers for the fifth day. Meanwhile, violent clashes broke out in the old City and Bab Zawiya in al-Khalil and Khader area in Bethlehem. The young men called for expanding the confrontations and preventing the settlers from moving, in support of the prisoners. The websites of Israel’s Ministry of Military Affairs and spy agency, Mossad, have been targeted by Anonymous hackers as the group launched a cyber attack campaign against Israeli websites. The hacking group, Anonymous, launched a cyber attack campaign targeting Israeli regime websites to protest against Tel Aviv's policy towards the Palestinians. Several Israeli websites reported slowdowns on Saturday night. The websites of Israel's Bureau of Statistics and the Education Ministry were down on Sunday, but Israeli officials claimed that the sites were temporarily out of action "because of a technical fault" and that the hackers have failed to cause serious disruption. 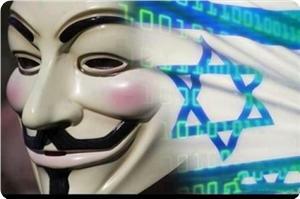 The two websites, however, were among the 1,300 Israeli websites listed by Anonymous as targets. Several privately owned sites have also come under attack. According to Israeli daily Haaretz, hackers have also attacked almost 19,000 Israeli Facebook accounts on Sunday. “You have NOT stopped your endless human right violations. You have NOT stopped illegal settlements. You have NOT respected the ceasefire. You have shown that you do NOT respect international law,” Anonymous said in a statement referring to the Israeli regime. “This is why on April 7, elite cyber-squadrons from around the world have decided to unite in solidarity with the Palestinian people against Israel as one entity to disrupt and erase Israel from the cyberspace,” the Anonymous statement added. Hackers disrupted dozens of Israeli websites on Sunday, after members of the Anonymous collective announced a plan to cause wide-scale outages, Israeli media reported. Among the targets was the Israel police website, but it was quickly brought back online, Israel's Haaretz newspaper reported. It also identified the privately owned Israel Military online catalogue as another target. Anonymous said it collected email addresses and credit card numbers, something the company denied. "You have not stopped your endless human rights violations," Anonymous said explaining the attacks. "You have not stopped illegal settlements. You have not respected the cease-fire (between Israel and Hamas in November). You have shown that you do not respect international law." The Israeli government denied claims that the hackers brought down important government sites, including the website of the Israeli prime minister's office and the Central Bureau of Statistics. Haaretz quoted a source at the Israeli defense ministry as confirming its site had been hacked briefly. The Israeli army, meanwhile, denied Anonymous' claim that soldiers were arresting the hackers. The Jerusalem Post newspaper reported that Israeli hackers were fighting back and breaking into a server hosting the anti-Israel "nerve center." 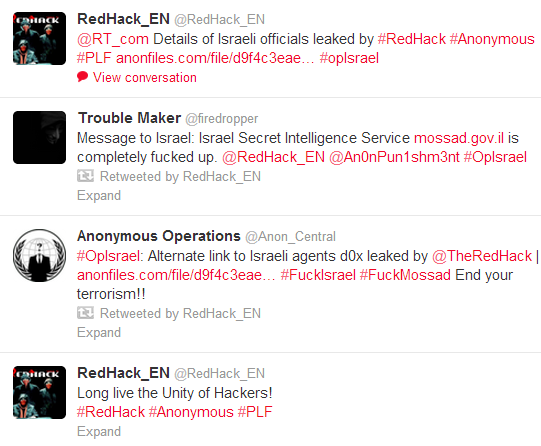 It said the "OpIsrael" website was taken over by an Israeli hacker calling himself EhIsR. The hacker posted content such as “Israel became a nation in 1312 BCE, 2,000 years before the rise of Islam,” according to the report. “At this stage, we are mainly seeing a buildup of tension and power struggles between Israeli hackers and hackers from various groups who have joined Anonymous. Anonymous hackers are updating lists of websites they intend to attack," Roni Becher of the Avnet information security company told the Post. Israeli officials played down the significance of the attacks. Government Internet official Yitzhak Ben Yisrael said the hacking spree was mostly a failure. "So far it is as was expected, there is hardly any real damage," Ben Yisrael told the Ynet news site. "Anonymous doesn't have the skills to damage the country's vital infrastructure. And if that was its intention, then it wouldn't have announced the attack ahead of time. It wants to create noise in the media about issues that are close to its heart," he said. Israeli websites have come under massive cyber attacks in solidarity with Palestinians following a warning by the hacker group Anonymous that threatened to ‘erase’ Israel from the internet. Websites including the sites owned by the Bank of Israel, Tax Authority, and the Central Bureau of Statistics came under cyber attacks on Saturday night. “This is why on April 7, elite cyber-squadrons from around the world have decided to unite in solidarity with the Palestinian people against Israel as one entity to disrupt and erase Israel from cyberspace,” the Anonymous statement added, listing 1,300 Israeli websites as targets. The Israeli daily Haaretz reported on Sunday that the hackers also attacked almost 19,000 Israeli Facebook accounts. The first ‘Op-Israel’ was launched by Anonymous during the eight-day Israeli war on the Gaza Strip in November 2012. Some 700 Israeli websites came under repeated cyber attacks. The Israeli ministry for financial affairs reported an estimated 44 million unique attacks on the regime’s websites during the cyber operation in November. In late March, the internet hacking group said on its twitter page that it gained access to the personal data of more than 30,000 Israeli officials, including military officials, politicians and Mossad agents. President Mahmoud Abbas’ advisor for communications and information technology Sabri Saydam Sunday said that Israel decided to respond to the cyber attacks against it by arresting several Palestinian activists. Hackers around the world have been organizing to target Israel in a mass cyber attack on Sunday, April 7, according to the Israeli daily, Haaretz. Sydam told WAFA that nothing indicates that Palestine has anything to do with the hackers hacking Israeli sites, stressing that this is a cyberspace battle and internet space is open to all. He said that many anonymous activists around the world announced their intentions of launching an electronic attack against the Israeli sites on April 7th and they did attacked a number of Israeli sites and Facebook accounts which Israel responded to by hacking Palestinian sites. He stressed the need to be prepared for such attacks through updating and making copies of data away from the web and saving them, communicating with service providers to update electronic protection systems, as well as not opening unknown links. Sydam said that if Israel cuts off internet services Palestinian internet will be affected, adding that the Palestinian sites hacked were important but not sensitive. Late Saturday night, hackers affiliated with the worldwide network known as ‘Anonymous’ attacked hundreds of Israeli websites as part of a campaign targeting Israel for their occupation of Palestinian land and attacks against Palestinian civilians. On Saturday night, a group calling itself ‘The N4m3le55 cr3w’ announced that they “have gathered 600 websites and 100 plus servers we will be attacking”, and promised that the total number of sites that would be taken down and/or defaced would number more than thirteen hundred. As of Sunday morning, hundreds of Israeli websites, including the Bank of Israel, Tax Authority, the Kadima partyand the Central Bureau of Statistics, were down, and hundreds more had been taken down by their owners as a precaution against attack. While the Israeli government claimed that Distributed Denial of Service (dDoS) attacks were the only tools that the hackers would be able to use to get at the Israeli websites, other sources claim that the hackers have been able to infiltrate websites with malware and Trojan horses. This creates a more complex security problem for the website owners than the dDoS attacks, which take down a site temporarily by overloading the server with page requests. Saturday’s attack follows a massive attack two weeks ago by anonymous in which the details of hundreds of Israeli officials were released, and a virus that infected Israeli Facebook users earlier this week. In a statement explaining the reason for this attack, Anonymous said to the Israeli government “You have NOT stopped your endless human right violations. You have NOT stopped illegal settlements. You have NOT respected the ceasefire. You have shown that you do NOT respect international law”. Israeli occupation under cyberattacks by "Anonymous"
An international hacking group called "Anonymous" claimed responsibility for defacing and attacking dozens of important Israeli websites on Sunday morning in retaliation to its crimes against the Palestinian people in the Gaza Strip and the West Bank. In a video recorded statement posted a few hours ago on Youtube website and others, the group said it would start as of Sunday morning a cyber-campaign called "Operation Israel" against Israeli official websites. Hours after the statement was launched, "Anonymous" published a list of about 17 sites it claimed had been defaced or attacked as part of its second campaign Operation Israel. Many of the sites had their homepages replaced with messages supporting the Palestinian people and their resistance. The websites of Israel's central bureau of statistics, its army, and other governmental websites were defaced by Anonymous. It said it had initiated its second cyberattacks on Israel to specially avenge Israel's crimes during its 2012 war on Gaza as well as its repeated violations that resulted in the killing of four Palestinians since it brokered its last truce agreement with the Palestinian resistance. This is a transcript of the video recorded statement as released by "Anonymous." "During November 2012, Israel's aggression towards the people living in the Gaza strip resulted in the death of more than one hundred people. This included thirty children and wounding more than 1000 others. At the time of the aggression, Operation Israel was launched. Within few hours of the operation launch, there were thousands of defaces and hacks, databases released or deleted, dozens of disruptions to government sites and more. Peace had been achieved for the residents of Gaza and Israel. However, this peace was short lived." "As many mainstream media outlets have made known, Israel has broken the November 21st ceasefire truce by launching air strikes in northern Gaza. What these mainstream media outlets do not allow you to know is that Israel has violated the ceasefire agreement more than one hundred times, killing four Palestinians in Gaza, and injuring dozens of others between November 21st and today." "Furthermore, Palestinians from Gaza to the West Bank continue to be attacked, raided, segregated, imprisoned and grossly mistreated in prison while illegal Israeli settlements and Israeli land theft continues unchecked, even after a UN panel declared these settlements illegal in January. Gaza suffers a seemingly endless and inhumane blockade where the only import is Israeli sewage pumped directly into it and the US made teargas, bombs, and bullets that are used by the IDF to attack a largely defenseless population." "To the government of Israel, you have not stopped your endless human right violations. You have not stopped illegal settlements. You have not respected the ceasefire. You have shown that you do not respect international law. This is why that on April 7, elite cyber-squadrons from around the world have decided to unite in solidarity with the Palestinian people against Israel as one entity to disrupt and erase Israel from cyberspace." "We are Anonymous. We are Legion. We do not forgive. We do not forget. To the Government of Israel, it is too late to expect us." Internet hackers belonging to Anonymous group have renewed their threats to "erase Israel from the Internet" on April 7, saying that their efforts will form the largest online assault on a single country in history, The Jerusalem Post Israeli newspaper reported Friday. The newspaper revealed that the pro-Palestinian statements included a threat to strike every website in the Israeli cyber-sphere. "Cease and desist from your terror upon the innocent people of Palestine or you will know the full and unbridled wrath of Anonymous, " group Anonymous said, " And like all the other evil governments that have faced our rage, you will NOT survive it unscathed. To the people of Gaza and the "Occupied Territories", know that Anonymous stands with you in this fight." Israeli experts warned from the possibility of leaking of some private information, credit cards details and significance slowdown in the speed of the internet as results of the attack. They also called on the Israelis not to surf in that day and recommended them to take a day or two off.